(AP) -- The top U.S. commander in Iraq warned Thursday that Turkey's threatened incursion into Kurdish regions in the north of the country could harm the flow of supplies for U.S. troops and damage the Kurdish economy. Iraqi Kurdistan, a haven of relative calm, could suddenly become another fault line if Turkey makes good on threats to cross the northern border in pursuit of Turkish Kurdish militants. "We are concerned about that," Gen. David Petraeus told two U.S. reporters in a dusty courtyard in Jadidah, a Shiite town about 25 miles north of Baghdad. The Turkish government is preparing to ask parliament to authorize a cross-border operation. Approval would allow the military to launch an operation immediately or wait to see if the United States and its Iraqi allies decide to crack down on the rebels. "A lot our supplies come through Turkey. ... To maintain that commercial exchange is hugely important through the border crossing at Habur Gate. And we hope that will continue," Petraeus said. A Turkish incursion could open an delicate new front in Iraq just as U.S. forces were seeing major gains against both Shiite and Sunni extremists in the largely Arab sections of the county south of the Kurdish region. Beyond that, about 70 percent of U.S. air cargo headed for Iraq transits Turkey, as does about one-third of the fuel used by the U.S. military in Iraq. U.S. bases also get water and other supplies by land from Turkish truckers who cross into the northern region of Iraqi Kurdistan. Iraq's Kurdish region also is heavily dependent on trade with Turkey, which provides the region with electricity and oil products. Annual trade at Habur gate, the main border crossing, is more than $10 billion. On Thursday, Turkey ordered its ambassador in Washington to return to Turkey for consultations, an extreme sign of diplomatic displeasure. (AP) -- U.N. officials in Iraq stepped up pressure on the United States on Thursday to prosecute any unjustified killings of Iraqi civilians by private security contractors, saying such killings could amount to war crimes or crimes against humanity if "done in cold blood." While Americans are unlikely to face such charges, the words served as a harsh rebuke as outrage spreads over what many Iraqis perceive as overly aggressive behavior of the heavily armed foreigners protecting U.S. government-funded work. "For us, it's a human rights issue," said Ivana Vuco, a human rights officer with the U.N. Assistance Mission to Iraq, or UNAMI. "We will monitor the allegations of killings by security contractors and look into whether or not crimes against humanity and war crimes have been committed." The warnings followed two high-profile cases of shooting incidents involving private contractors on the streets of Baghdad. Arikat spoke as UNAMI released its quarterly human rights report, which warns that increasing reliance on heavily armed teams in Iraq risks eroding the distinction between civilians and combatants. It notes several reports of "killings carried out by privately hired contractors with security-related functions in support of U.S. government authorities." It is unclear how far the United Nations could go in pressing the issue of war crimes or even calls for prosecution under U.S. law. The U.N.'s influence in Iraq plummeted after it was forced to withdraw most of its staff from the country following two bombings in 2003, including one that struck its Baghdad headquarters and killed a top U.N. envoy and 21 other workers. The mission returned in 2004 with a limited staff, but its role here remains highly sensitive. But the world body is still viewed by most Iraqis as a more neutral party, and Thursday's warnings likely were meant to invoke that position of moral authority. Vuco said international humanitarian rights law applies equally to contractors who work for the mostly Western firms providing security to diplomats and aid groups as it does to other parties in a conflict. (AP) -- Six main Iraqi insurgent groups announced the formation of a "political council" aimed at "liberating" Iraq from U.S. occupation in a video aired Thursday on Al-Jazeera television. The council appeared to be a new attempt to assert the leadership of the groups, which have moved to distance themselves from another coalition of insurgent factions led by al-Qaida in Iraq. In the video aired on Al-Jazeera, a man identified as the council's spokesman - wearing traditional Iraqi garb, with his face blacked out - announced the council's formation and a "political program to liberate Iraq." He said the program was based on two principles. "First, the occupation is an oppression and aggression, rejected by Islamic Sharia law and tradition. Resistance of occupation is a right guaranteed by all religions and laws," he said. "Second, the armed resistance ... is the legitimate representative of Iraq. It is the one that bears responsibility for the leadership of the people to achieve its legitimate hope." The groups forming the council include the Islamic Army of Iraq, the Mujahideen Army, Ansar al-Sunna, the Fatiheen Army, the Islamic Front for the Iraqi Resistance (Jami) and the Islamic Movement of Hamas-Iraq. 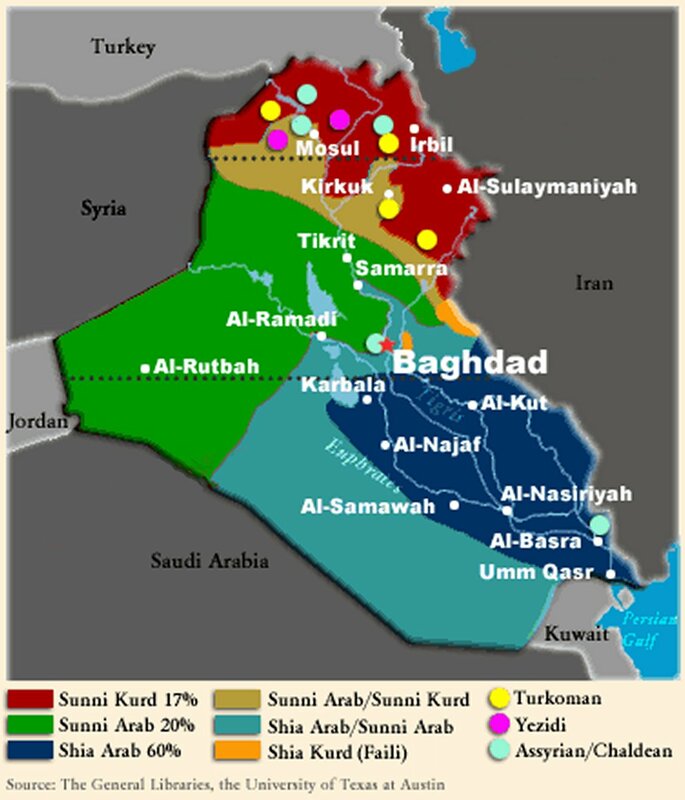 The step could be a bid by the insurgents for a more cohesive political voice at a time of considerable rearrangement among Sunni insurgent groups and Iraq's Sunni Arab minority. Splinter factions of two insurgent groups, the 1920 Revolution Brigades and the Mujahideen Army, have cooperated with U.S. forces in fighting insurgents allied to al-Qaida in Iraq. Earlier this year, other groups - the Islamic Army of Iraq, the main faction of the Mujahideen Army, a branch of Ansar al-Sunna and the Fatiheen Army - formed a coalition called the Jihad and Reform Front opposed to al-Qaida in Iraq, though they have continued attacks on U.S. and Iraqi forces. (AP) -- The State Department may phase out or limit the use of private security guards in Iraq, which could mean canceling Blackwater USA's contract or awarding it to another company in line with an Iraqi government demand, The Associated Press has learned. Such steps would be difficult given U.S. reliance on Blackwater and other contractors, but they are among options being studied during a comprehensive review of security in Iraq, two senior officials said. -Changes to the rules of engagement under which State Department security contractors operate, particularly for approaching suspicious vehicles, which is at the crux of the Sept. 16 incident. Blackwater insists its guards were fired upon, although Iraqi witnesses and the Iraqi government maintain the guards opened fire with no provocation when a vehicle got too close. -Whether Blackwater's secretive corporate culture, reputed to have encouraged a "cowboy-like mentality," has led to its employees being more likely to violate or stretch the existing rules than those of the two other private security firms, Dyncorp and Triple Canopy, the State Department uses in Iraq. -Whether it's feasible to eliminate or drastically curtail the use of private foreign contractors to protect U.S. diplomats in Iraq. And, if so, how to replace them. Rice is eager for changes and has already accepted and implemented initial steps Kennedy urged in a preliminary report last week. They included improving government oversight of Blackwater by having federal agents accompany convoys and installing video cameras in their vehicles. Officials in the tight-knit world of security operatives in Baghdad said Blackwater was preparing a reorganization and possible downsizing. The officials spoke on condition of anonymity because of the issue's sensitivity. The company, based in Moyock, N.C., does not speak publicly about its operations or plans. Calls and e-mail messages left with Blackwater on Wednesday were not returned. A top aide to Prime Minister Nouri al-Maliki told the AP that Washington was considering the findings of the Iraqi government's report into the incident and calls for reform. "But so far there has been no concrete answer from the U.S. Embassy showing it was definitely going to drop Blackwater," the aide said. The aide said the al-Maliki government told the U.S. Embassy, "We will draft and pass laws that would lift the immunity on these security companies to stop their reckless behavior." Kennedy has been in Iraq for nearly two weeks with one of three outside experts Rice named to the commission, Eric Boswell, a former diplomat and intelligence official. The other two, retired Army Gen. George Joulwan and former Ambassador Stapleton Roy, were being briefed on the mission at the State Department on Wednesday before heading to Baghdad. The officials said Kennedy's team was not expected to recommend eliminating all private contractors because it would have a profound impact on how U.S. diplomats work in Iraq. The State Department's own Bureau of Diplomatic Security lacks both the manpower and equipment, notably helicopters, to do the job, they said. Blackwater is now the biggest of the three firms working for the department in Iraq with about 1,000 employees and handles protection in and around Baghdad, the most dangerous areas of the country. It has been paid as much as $1 billion for its work in Iraq. Dyncorp and Triple Canopy, which work in the north and south, are far smaller and face resource constraints. Under the terms of the department's Worldwide Personal Protective Security contract, which covers privately contracted guards for diplomats in Iraq, Blackwater, Dyncorp and Triple Canopy are the only three companies eligible to bid on specific task orders there. If Blackwater goes, the slack would almost certainly have to be picked up by one or more other companies, which may require certifying other firms to bid, including non-U.S. ones, the officials said. Of interest to the department is the possibility of forming Iraqi companies with Iraqi employees to protect U.S. diplomats as local guards do for embassy staff in other countries, they said. That would bring the guards fully under the jurisdiction of Iraqi law but is not a short-term option given inadequate training facilities. The Pentagon has been reluctant to provide security for diplomats but another alternative might be joint State-Defense department patrols. Yet another would be hiring Blackwater and other private guards as temporary U.S. government employees, the officials said. (AP) -- Sixty prisoners, 10 of them youths, raised their hands Wednesday and swore to live a peaceful life. In return, U.S. authorities set them free. As a gesture of good will, the U.S. military has pledged to release more than 50 detainees a day - about 10 more than average - during Ramadan, which ends this week. It is traditional in Muslim countries to pardon some prisoners or shorten their terms during the holy month. More than 25,000 Iraqis still in American custody haven't been so lucky. The security crackdown in Baghdad has raised the rolls in U.S.-run detention centers to 10,000 more detainees compared to this time last year, worsening already serious backlogs in the court system. Several men being released Wednesday interrupted the judge's speech to complain that they had been held for months, even years, without cause. According to U.S. military figures, the average age of inmates is 35 to 37 for adults and 15 to 17 for youths. About 85 percent are Sunni, 14 percent are Shiite and 1 percent are neither. Most remain in custody for about a year. Maj. Gen. Douglas M. Stone, deputy commander of detainee operations, said prisoners in U.S. custody include some 860 youths, meaning they are under 17 years old, and 280 foreigners, including Egyptians, Syrians, Iranians and Saudi Arabians. "Ultimately, we want all detainees who are no longer a peril to Iraqi and coalition forces to be released," Stone said, adding that about 60 people are detained each day across Iraq. Most detainees are held in limbo where few are ever charged with a specific crime or given a chance before any court or tribunal to argue for their freedom. Of those who receive a proper trial, about 50 percent will be acquitted, the military says. All prisoners get their cases evaluated within the first three months they are in custody. Then, each case is reviewed every six months. At those proceedings, the review board can release someone for hardship reasons, at the request of the Iraqi or U.S. government or when it determines the detainee is no longer a security threat, Bill said. The so-called pledge program, which began in July, requires the detainees to take an oath to renounce violence, then they are fingerprinted and they face a fine if they are against accused of wrongdoing, Bill said. About 1,500 detainees have been released under the program. The judge told the new program is a test "we don't want to fail. This is going to prove you were not criminals, not terrorists." (AP) - Prime Minister Recep Tayyip Erdogan said Friday that Turkey would not be deterred by the possible consequences of invading Iraq if it decides to stage a cross-border offensive against Kurdish rebels. "If such an option is chosen, whatever its price, it will be paid," Erdogan told reporters in response to a question about international repercussions of such a decision, which would strain ties with the United States and Iraq. "There could be pros and cons of such a decision, but what is important is our country's interests." A Turkish soldier was killed by a mine Thursday night on Mt. Gabar in southeastern Sirnak province, where 13 soldiers have been ambushed and killed over the past week, local authorities said. "We are making necessary preparations to be ready in case we decide on a cross-border operations since we don't have patience to lose more time," Erdogan said, adding that Turkey lost 30 people in rebel attacks over the past two weeks. Erdogan said Turkey has long been seeking the cooperation of Iraq and the United States but there has been no crackdown on the rebel group of the Kurdistan Workers Party, or PKK, in Iraq. "If there are terrorists sheltering and attacking Turkey from Iraqi soil and if they don't do anything then we should do something," Erdogan said. The Turkish parliament was expected to approve a government request to authorize an Iraq campaign as early as next week, after a holiday ending the Islamic holy month of Ramadan. But that does not mean a risky incursion will follow at once. Turkey might give diplomacy, and perhaps economic pressure, more time to work even as public enthusiasm for a military mission mounts. (RFE/RL) - Abd al-Aziz al-Hakim, the head of the Supreme Islamic Iraqi Council (SIIC), met with leading members of his party on October 10, following his return from cancer treatment in Tehran, the party's website reported on October 11. Al-Hakim reportedly addressed a number of issues at the meeting, including the latest political and security developments and the need to consolidate national unity. The report said those in attendance expressed their happiness over their leader's return after making a "full recovery" from cancer. (Al-Zaman) - Turkish companies doing business in northern Iraq have begun to pull out of the Kurdistan region in anticipation of a Turkish military incursion, the Iraqi newspaper "Al-Zaman" reported on October 10. Ahmad Ajar, head of an association of Turkish businessmen based in Irbil, said many Turkish companies have ended their contracts and are pulling Turkish staff from the region. "Al-Zaman" reports that Turkish investments in Iraqi Kurdistan are valued at $5 billion. Meanwhile, the Kurdistan regional government has said that it is mobilizing its peshmerga forces to confront any military incursion, which they view as a violation of Iraq's sovereignty. If the Turkish military launches a wide-scale incursion into northern Iraq, it would likely do so after the three-day Eid Al-Fitr holiday, which runs from October 14-16, marking the end of Ramadan. 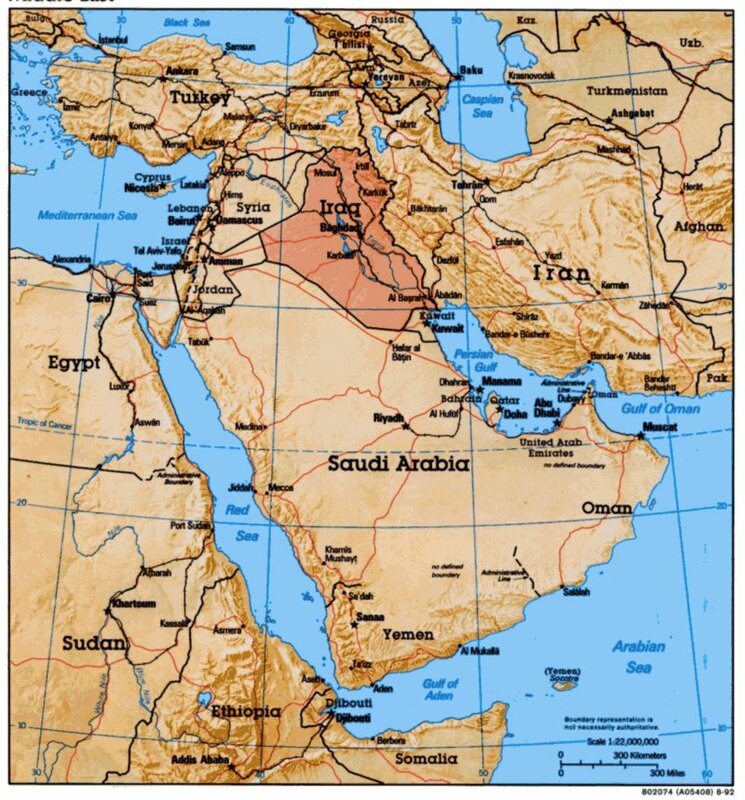 (Center for Strategic and International Studies) - The attached briefing provides an overview of some of the key charts and maps reporting on the Iraq War. It will be steadily updated over time. This link will also be stored under 'Links' - 'Documents' (on the left-hand side of the page) for future reference. (BBC) - A growing number of Iraqi provinces are refusing entry to internal refugees, the UN refugee agency has warned. The head of the UNHCR Iraq Support Unit told the BBC up to 11 governors were restricting access because they lacked resources to look after the refugees. Andrew Harper warned that, with no imminent end to the displacement, Iraq was becoming a "pressure cooker". He said local authorities did not have the resources to cope, and that the governors of at least 11 provinces - out of 18 in the country - had reacted by blocking internal migrants from entering their territory, or denying them food and education if they do get in. "We are seeing an increasing number of governorates closing their borders or restricting entry to new arrivals," he said. "And so we have a pressure cooker building up inside Iraq - there is no imminent end to the displacement," he added. "The possibility for Iraqis to find safety is becoming increasingly restricted. So, where they can move is becoming over-populated and intense." Mr Harper said the UNHCR had raised the problem with the Iraqi central government, but was told that local authorities had been urged not to turn away Iraqis fleeing other parts of the country. The millions of refugees fleeing the violence and turmoil in the country, Mr Harper said, were the biggest challenge facing the UNHCR and the international community. He said the figures were increasing on average by up to 100,000 every month. In Diyala province, aid workers have said they have been unable to reach thousands of families, including displaced refugees, because of the security situation. The huge displacement of people is cementing the fragmentation of the country, says the BBC's Arab affairs analyst Magdi Abdelhadi, with local authorities ignoring Baghdad by refusing to shelter refugees. That will make national reconciliation even more difficult to achieve, he says. There are also fears that the ramshackle refugee camps that today dot the Iraqi landscape are a breeding ground for violence, our correspondent adds. Mr Harper's warning comes at a time when Iraq's neighbours have more or less closed their borders to refugees, saying they can no longer cope with the strain. (Stratfor) - Iraqi Defense Minister Abd al-Qadir al-Ubaydi met with the Kurdistan Regional Government on Oct. 9 to discuss the creation of two new peshmerga platoons to increase security in the country, Peyamner News Agency reported, citing the Patriotic Union of Kurdistan's Web site. (Stratfor) - The Polish Embassy in Iraq has temporarily moved to a building in Baghdad's Green Zone due to safety considerations, the Polish Foreign Ministry said Oct. 9. The embassy will officially move to its new location in the Green Zone in approximately a month. A car bomb killed two people and wounded five near Poland's embassy in Baghdad on Monday. A bomb targeted the convoy of the Polish ambassador to Iraq in Baghdad last Wednesday, killing an Iraqi civilian and injuring the diplomat and at least three others. The ambassador, Gen. Edward Pietrzyk, was rushed to the US military hospital in Baghdad in stable condition. Poland has had a strong presence in the US-led coalition, and its military commands the Multi-National Division-Central South region. (The Times) - Hundreds of Iraqis who risked their lives working for the British will be given a choice of a cash payment or the chance to live in Britain, David Miliband said yesterday. In a written ministerial statement, the Foreign Secretary fleshed out details of the assistance announced by Gordon Brown on Monday to help Iraqis who have served as interpreters and in other sensitive jobs since the invasion of Iraq. The policy U-turn followed a two-month campaign by The Times to highlight the plight of Iraqi interpreters, who have been persecuted by insurgents for “collaborating” with Britain. Although details have not been finalised, the plan will probably cost millions of pounds and aid several hundred Iraqis and their families. The offer falls short of a comprehensive deal for all the estimated 20,000 Iraqis who have worked for the British since the invasion of Iraq in 2003. This summer the Danes airlifted all their former Iraqi employees and their families for resettlement in Denmark. The main beneficiaries of the British scheme will be existing Iraqi staff who have worked for the Ministry of Defence, the British diplomatic missions in Iraq, the Department for International Development or the British Council for at least 12 months up to August 8, when the review was ordered. They will be offered a one-off cash payment worth between six and twelve months’ salary, depending on length of service. There are currently 500 Iraqis employed by the British in Iraq, mostly working for the Army in Basra. Of those, 280 have worked for 12 months. Their salaries range from £130 to £600 a month. The top payment would be in the order of £7,000. The money would be used to help an employee and his dependants if he were made redundant or forced to resign under pressure. It is intended to help a family relocate to a safer area of Iraq or elsewhere in the region. Iraqis will also be offered the option of applying to move to Britain. Ministers have created an entirely new “exceptional leave to remain” category for those still in Iraq wishing to come to the UK. They will be allowed to settle in Britain, though it has not yet been agreed for how long. In reality, once they are in the country they will be allowed to remain for good. The second route is for those already outside Iraq who meet the criteria of having worked for the Government. They will register with the United Nations High Commissioner for Refugees and apply for the Gateway programme that brings a few hundred refugees into the UK each year. They will have to satisfy the Commissioner that there is little prospect of their being resettled in Iraq and may then join the scheme, which has 300 places in 2008 and a further 300 in 2009. On arrival in the UK they will be granted asylum. The same choice of cash or resettlement is also open for interpreters, translators and other professionals formerly employed by the British in Iraq. To qualify they need to have been employed for one year after January 1, 2005. Before then, it is considered to have been safe to have worked for the British in southern Iraq. Mr Miliband also made provision to help a “limited number of contracted staff”, who worked in sensitive roles such as advisers. He said: “Locally engaged Iraqi staff working for our Armed Forces and civilian missions in Iraq have made an invaluable contribution.”The offer is weighted deliberately in favour of Iraqis taking the cash rather than choosing to resettle in Britain. To do that a former employee would first have to flee the country, as millions of Iraqis have done to Jordan or Syria. They would then need to register with the UNHCR as refugees, a process that can take months to complete. (ABC News) - The United States has cemented its position as Iraq's biggest wheat supplier, after locking in an export deal for 700,000 tonnes. Australia used to dominate the Iraq trade, but has struggled to sell any wheat there since the Oil-for-Food scandal involving AWB. Grain trader Brett Stevenson says it will be hard for Australia to regain any of the market. "We would have every right to put our hand up as a government level and say we want to participate, the only problem with that is, is that the organisation that cause a major disfunction over there is still operating and still has a single desk over the 2007 crop," he says. "And we're still entertaining a single desk for ongoing crops, and I just think while that's the case we're going to struggle." (Reuters) - The Iraqi government wants US security firm Blackwater to pay $8 million in compensation to each of the families of 17 people killed in a shooting, a senior government source said yesterday. The source said the figure was roughly in line with compensation paid by the Libyan government to the families of the 270 people killed in the 1988 Lockerbie airline bombing over Scotland. "We want them to pay $8 million [about Dh29.3m] for each family," the source said. "The same level as the compensation for the Lockerbie victims." Blackwater had been told of the demand, the source said. It was unclear what the private American firm's response was. Iraqi government spokesman Ali Al Dabbagh said on Sunday an investigation set up by Prime Minister Nouri Al Maliki had found Blackwater "deliberately killed" the 17 people in the September 16 shooting in western Baghdad. Blackwater has said its guards responded lawfully to a hostile threat against a US State Department convoy it was guarding, but Dabbagh said the investigation had also found there was no evidence they had come under fire. The incident caused outrage among Iraqis who see security contractors like Blackwater as private armies which act with impunity. Blackwater employs about 1,000 people in Iraq. Its founder, former US Navy SEAL Erik Prince, told a Congressional hearing last week that his men had come under small-arms fire and "returned fire at threatening targets." (PUKmedia news) - Abu Dhabi-based Rotana Hotels said on Tuesday it would develop a $55 million five-star property in Erbil in Iraq’s Kurdish region, which has largely been spared the violence affecting the rest of the country. Rotana, which has 25 hotels across the Middle East, will compete for a growing hospitality business with the Erbil International Hotel; the city's only other five-star property, where a standard twin room costs around $300 a night. "This is part of our strategic aim to have a property located in every key city in the Middle East," Selim el-Zyr, president of Rotana, said in a statement. The semi-autonomous Kurdish Regional Government is trying to encourage investors to develop Erbil's hotel infrastructure and turn the city into an entry point to Iraq for foreign businesses. The ministry of tourism last month said three or four times the current numbers of hotels were needed. The city's international airport handled about 170,000 passengers in 2006 and the regional government is building a new airport to handle 1.5 million, according to the London-based Kurdistan Development Corporation. Austrian Airlines became the first European carrier to resume scheduled flights to Iraq last year when it began twice-weekly services to Erbil from Vienna. Rotana's 205 room Erbil property, scheduled to open in 2009, is owned by Lebanese holding company Malia although potential investors are ‘still welcome’ according to president Jacques Sarraf. (Voices of Iraq) - Unknown gunmen assassinated the head of the Shiite Endowment in Baghdad's eastern part of Rasafa, Ibrahim Abdul Kareem, at a late hour on Monday night, an Iraqi police source said. The Shiite Endowment is a government agency that cares for Shiite mosques in Iraq. "Unidentified gunmen driving a civilian vehicle shot down Abdul Kareem while he was driving his car in al-Mashtal neighborhood in Baghdad al-Jadida," the source, who requested his name not be mentioned, told the independent news agency Voices of Iraq (VOI). No further information was given by the source. (Azzaman) - A visit to a women prison in a Baghdad neighborhood has revealed that Iraqi authorities are paying lip service to human rights and rule of law. The visit by Vice-President Tareq al-Hashemi found the jail over crowded with many women afflicted with contagious diseases due to lack of medicine and medical care. “The tour has exposed a difficult and tragic situation in the whole process, starting with detention and ending with the horrific conditions of the prison,” a statement by Hashemi’s office said. The prison is in the neighborhood of Kadhimiya and is believed to hold mainly Sunni Muslim women. Many of the prisoners, the statement said, were detained because their husbands or sons were suspected of having links to forces resisting U.S. occupation. “This means if anything that the women are taken hostages to exert pressure on their husbands who are wanted by the authorities,” the statement said. There were teenage women among the prisoners some of whom had spent several years behind bars, the statement added. One women prisoner, Suaad Aziz, had told Hashemi that she was arrested while looking for her son who had disappeared for more than one year. “I was a principal of a school in the Amiriya district of Baghdad. They have sentenced me to death and no one has ever asked me a single question why I was here,” the statement reported Aziz as saying. Thousands of Iraqis languish in scores of prisons in Iraq. U.S. troops have their own jails which they have constructed specifically to detain suspects. Iraqi authorities run their own prisons. There are more than 30,000 Iraqis in jails run by the U.S. and Iraqi government and most of them have been incarcerated merely on suspicion and held without trial. (AP) - U.S. and Iraqi officials Wednesday were investigating yet another shooting of Iraqi civilians by a heavily armed security firm linked to U.S. government-financed work in Iraq. The bodies of Marou Awanis and Geneva Jalal, the Christian women killed in the Tuesday shooting, were taken, meanwhile, to Baghdad's Armenian Orthodox Virgin Mary Church for funeral services. Iraqi authorities blamed the women's deaths on guards working for Unity Resources Group, a security company owned by Australian partners but with headquarters in Dubai in the United Arab Emirates. Unity provides security services to RTI International, a group based in Research Triangle Park, N.C., that promotes governance projects in Iraq for the U.S. Agency for International Development. Both Unity and RTI acknowledged a security contract between them and both entities said RTI staffers were not present when the shooting occurred in Baghdad's Karradah district. A U.S. Embassy spokeswoman said RTI was under contract by USAID but was responsible for its own security. Michael Priddin, chief operating officer of Unity, told The Associated Press on Wednesday the firm was working with Iraqi authorities "to find out the results of the shooting incident. ...we are trying to work out a true picture of what happened." In a statement issued Tuesday night, Priddin said, "We deeply regret this incident." Iraqi government officials, police and witnesses said guards working for Unity fired on a white Oldsmobile as it approached their convoy Tuesday afternoon, killing the two women before speeding away from the latest bloodshed blamed on the deadly mix of heavily armed protection details on Baghdad's crowded streets. The deaths of the women — including one who used the white sedan as an unofficial taxi to raise money for her family — came a day after the Iraqi government handed U.S. officials a report demanding hefty payments and the ouster from Iraq of embattled Blackwater USA for a chaotic shooting last month that left at least 17 civilians dead. The Tuesday killings were certain to sharpen Iraqi government demands to curb the expanding array of security firms in Iraq watching over diplomats, aid groups and others. Accounts of the incident — from company statements, witnesses and others — suggested the Unity guards opened fire as the car failed to heed warnings to stop and drifted closer to the convoy near a Unity facility in Karrahah. Four armored SUVs — three white and one gray — were about 100 yards from a main intersection in the Shiite-controlled district at about 1:40 p.m. As the car moved into the crossroads, the Unity guards threw a smoke bomb in an apparent bid to warn the driver not to come closer, said Riyadh Majid, an Iraqi policeman who saw the shooting. Two of the Unity guards then opened fire. The woman driving the car tried to stop, but was killed along with her passenger. Two of three people in the back seat were wounded. Priddin's Tuesday statement offered a similar account: "The first information that we have is that our security team was approached at speed by a vehicle which failed to stop despite an escalation of warnings which included hand signals and a signal flare. Finally shots were fired at the vehicle and it stopped." Iraqi police investigators said they collected 19 spent 5.56 mm shell casings, ammunition commonly used by U.S. and NATO forces and most Western security organizations. The pavement was stained with blood and covered with shattered glass from the car windows. Majid said the convoy raced away after the shooting. Iraqi police came to collect the bodies and tow the car to the local station. A second policeman, who spoke on condition of anonymity because he feared retribution, said the guards were masked and wearing khaki uniforms. He said one of them left the vehicle and started to shoot at the car while another opened fire from the open back door of a separate SUV. Iraqi anger has grown against the private security companies — nearly all based in the United States, Britian and other Western countries — as symbols of the lawlessness that has ravaged their country for more than four years. Ali al-Dabbagh, Iraq's government spokesman, said: "Today's incident is part of a series of reckless actions by some security companies." Unity also has come under scrutiny before. In March 2006, the company issued an statement of sympathy after one of its guards was blamed for shooting a 72-year-old Iraqi-born Australian, Kays Juma, at a security checkpoint in Baghdad. Australian Foreign Minister Alexander Downer said Juma was killed because he was in a car that failed to stop. Unity said multi-national forces and Iraqi police also were present at the checkpoint at the time. Unity provides armed guards and security training throughout Iraq. Its heavily armed teams are Special Forces veterans from Australia, the United States, New Zealand and Britain — as well as former law enforcement officers from those countries. (Al Jazeera) - Turkey is preparing for a possible incursion into northern Iraq as the government says it is willing to take all necessary measures against Kurdish separatists it suspects of hiding there. The decision by Recep Tayyip Erdogan, the prime minister, follows a series of deadly attacks by the rebel PKK group on Turkish security forces. "To put an end to the terrorist organisation operating in the neighbouring country [Iraq], the order has been given to take every kind of measure, legal, economic, political, including also a cross-border operation if necessary," Erdogan's office said in a statement on Tuesday. Kurdish rebels have killed 15 soldiers in separate attacks in the past two days. There is increasing anger in the country over the rebels' ability to find refuge in neighbouring Iraq. The military said on Sunday it had shelled an area near Iraq to try to stop PKK members from escaping across the border after an attack in the southeast province of Sirnak that killed 13 soldiers. However, residents in northern Iraq claim the Turkish shelling is landing well within their territory. Kurdish farmers displayed craters on Tuesday they said were left by artillery shells that hit close to the border. Ankara has not confirmed any shelling of Iraqi territory. Local officials in the Iraqi Kurdish-run northern region, feared the shelling was a sign of more to come. In the city of Arbil, 350km north of Baghdad, the Kurdish governor warned Turkey on Tuesday that its troops would sustain heavy losses if they began operations in the region. Nozad Hadi, the region's governor, said: "If the Turkish troops decided to enter into the Iraq's Kurdistan territories, their decision would be wrong and they would sustain heavy casualties and material losses." Turkey's parliament would have to authorise any large-scale military operation into Iraq, but troops could pursue rebels over the border in smaller, so-called "hot pursuit" operations without such authorisation. The US said it supported Turkey and Iraq in their efforts to combat the PKK but warned against military incursions from Ankara. Al Jazeera's Yusuf Sharif in Ankara says Turkey is unlikely to send troops into its neighbour in the near future given that it is due to host a regional conference next month with Iraqi representatives among the attendees. Sharif also said that the government in Baghdad wants time for a recent security agreement signed with Turkey to take effect. Yusuf Kanli from the Turkish Daily News said while there was public pressure on the Erdogan government to show it was able to deal effectively with PKK rebels it needed to differentiate between the group and the wider Kurdish issue. "You can not end this kind of terrorism through military action, there are other factors to consider such as political, and social elements that intermingle," he told Al Jazeera. "But Turkey can not in any way ignore the need to provide security for its country. They have to differentiate between PKK and the Kurdish problem." (Al Jazeera) - Two suicide lorry bombs, separately targeting a police chief and a tribal leader, have killed at least 22 people in Baiji, about 200km north of Baghdad, police said. At least 30 people were injured when the lorries, loaded with barrels of petrol, exploded within minutes of each other at about 6am (0300 GMT) on Tuesday, police officials said. In Baghdad, the capital, at least 12 more people were killed and 58 wounded in four separate explosions, including one which ripped through crowds in a central square, Iraqi officials and police said.Women and children were among the dead, the official said. Many victims of Tuesday's twin attacks in Baiji were also women and children, police officials said. The first bomb went off outside the home of Colonel Saad al-Nuffous, an Iraqi police chief. The officer escaped unharmed, but his house was partially damaged, Ali al-Bijwari, a police commander, said. Minutes later, a second bomber detonated his explosives outside the home of Thamer Ibrahim Atallah, a leader of the Salaheddin Awakening Council, a coalition of tribes established to fight al-Qaeda in the Tikrit area. Atallah escaped the attack, but the identities of the other casualties were not immediately known. US forces were deployed in the area after the blasts, al-Bijwari said. Last Thursday, a roadside bomb near Samarra killed Sheikh Maawia Naji Jebara, the leader of the Salaheddin Awakening Council. The Islamic State of Iraq claimed responsibility for the killing in a statement posted on the internet. (RFE/RL) - A full census will be carried out in the contested oil-rich governorate of Kirkuk in mid-November, said Narmin Uthman, the deputy head of the Higher Commission for the Implementation of Article 140 of the constitution, Kurdish media reported on October 4. Article 140 concerns repatriation of those displaced under Saddam Hussein's regime to their original homes. As it applies to Kirkuk, the article paves the way for thousands of Kurds displaced from their homes to return to the governorate. It also requires that tens of thousands of Arab families resettled in Kirkuk under Hussein must return to their homes and villages in the south of the country. The census, called for in the constitution, will be followed by a referendum by residents in Kirkuk to decide whether to join the Kurdistan region or remain outside it. International media reported this week that the commission has begun to compensate Arab families for leaving their homes in Kirkuk. The government is offering 20 million dinars (around $16,000) to each family that leaves Kirkuk and relocates to their original homes. The number of Arab families living in Kirkuk is not known, but estimates run between 70,000 and 135,000 families. A car bomb killed two people near Poland's embassy in Baghdad on Monday, five days after the Polish envoy was wounded in an attack, international agencies reported. Acting ambassador Waldemar Figaj told Reuters that four explosions hit near the embassy on Monday and described the first blast as "very, very powerful". No major damages were reported. Iraqi police said a car bomb near the embassy killed two people and wounded five. A bomb targeted the convoy of the Polish ambassador to Iraq in Baghdad last Wednesday, killing an Iraqi civilian and injuring the diplomat and at least three others. The ambassador, Gen. Edward Pietrzyk, was rushed to the US military hospital in Baghdad in stable condition. Poland has had a strong presence in the US-led coalition, and its military commands the Multi-National Division-Central South region. (Reuters) - The Iraqi government on Monday released video confessions from followers of a Shi'ite cult arrested after a major battle with U.S. and Iraqi forces in January near the holy city of Najaf. One of the confessions said the cult leader slain in the battle had met critics of the Iraqi government, including the country's first post-war prime minister Iyad Allawi. The fierce battle in the area of Zarga, north of Najaf, left 220 militants dead, including spiritual leader Dhia al-Garrawi. Iraq said the heavily-armed group planned to assassinate top Shi'ite scholars to destabilise the country. Riyadh al-Garrawi, who was captured after the fighting, said on the video confession that his brother, Dhia, had met both Allawi and Sunni cleric Harith al-Dari outside Iraq. Dhia al-Garrawi had proclaimed himself the Mahdi, a messiah-like figure in Islam, and had a cult following. Allawi and Dari, both of whom spend most of their time abroad, are very critical of the Iraqi government and Dari has often accused it of forcing confessions from detainees for political ends. "(Dhia) requested me to arrange an interview with Allawi and (an intermediary) arranged a meeting with Allawi in Jordan," Riyadh al-Garrawi said on the video, shown at an Interior Ministry news conference. He said Dhia also met Sunni cleric Dari at least twice to discuss political issues, in Syria's capital Damascus and the Gulf emirate of Dubai. "He told me they debated politics and agreed they were against federalism and favoured a secular state," he said. Usama al-Nujeyfi, a lawmaker from Allawi's bloc, called the investigation results a sham. "It's not a proper investigation, it's all politicised. Dr. Allawi is a national leader who rejects violence in all its forms," he told Reuters. Dari was not immediately available for comment on the video confession. (Voices of Iraq) - The U.S. military in Iraq said on Monday it has detained three Iran-backed Shiite militia fighters believed responsible for the kidnapping of five British security contractors last May. "Coalition Forces from the 2nd Brigade, 82nd Airborne Division detained three terrorists associated with the Iranian-backed Special Groups Militia during a pre-dawn raid in Sadr City on Oct 6," the U.S. army said in a statement received by the independent news agency Voices of Iraq (VOI). "The individuals detained during the raid are believed to be members of the Special Groups Militia network known for kidnapping, facilitating the transport of weapons and explosively-formed penetrators from Iran to Iraq, as well as bringing militants from Iraq into Iran for military training," it added. "The three insurgents captured are believed to be responsible for the kidnapping of five British contractors in Baghdad on May 29," the statement noted. A group of armed men in police uniforms abducted the five Britons from the Iraqi Finance Ministry in May. Their fate is not known. (Gulf News) - One of Iraq's most famous football stars was sworn in on Monday to replace a lawmaker-turned-insurgent in the largest Sunni parliament block. Ahmed Radhi, the only Iraqi player to have scored in World Cup finals, officially took the Sunni Accordance Front seat vacated by Abdul Nasser Al Janabi. Janabi had declared in June that he would leave politics to join the insurgency in Iraq. The bloc had nominated 43-year-old Radhi last week, to "support the youth and sport in Iraq," said the Sunni bloc's spokesman, Muhanad Al Issawi. "I will join the Sport and Youth Committee in parliament, beside my political activities as lawmaker," Radhi said after his swearing-in. Radhi was Iraq's most famous forward in mid 1980s and scored the only World Cup goal for Iraq ever in a game against Belgium in the 1986 tournament in Mexico. After the 2003 fall of Saddam Hussain, he became the manager of Al Zawra soccer club in the Iraqi premiere league. He left the job and moved to Amman, Jordan, after receiving threats and after the kidnapping of Ahmed Al Hijiya, the chairman of Iraq's National Olympic committee. The Iraqi government, along with political forces, are following with concern the situation in Basra province, with the withdrawal of the British military continuing in the forthcoming months until a full withdrawal is implemented. General Abdul Jalil Khalaf, Basra police chief, told Gulf News: "The task is very difficult and conditions are extremely dangerous because each party believes that it represents the law, and each element thinks of himself as a state hero. The city includes tens or even hundreds of militias and I am ready for the task." Statistics at the University of Basra indicates that there are about 250,000 individuals involved in the armed militias and around 144 militia groups. There are the militias of the Dawa party headed by Nouri Al Maliki, the Badr Brigades headed by Hadi Al Ameri affiliated to Abdul Aziz Al Hakim, the Mahdi Army of Shiite leader Moqtada Sadr, the Hezbollah movement militia led by Hassan Sari, Hezbollah affiliated to Abdul Kareem Al Muhamadawi, the Fadhila party militias belong to Mohammad Al Yacoubi and other small resistance militias in the south as Imam Ali rebels, Hassan and Hussain rebels and Al Ridha followers. The oil-rich city consists of 40 to 55 private militia who specialise in oil smuggling to Iran and stealing copper wires from electric grids. Abdul Hadi, an Iraqi army officer in Basra, told Gulf News: "The most dangerous militia is the police and security forces' militias because they have weapons and work in the name of the law. These are groups that consist of between 40 to 90 members who agree to implement kidnapping and blackmail operations or condone gang activities for major financial commissions." Basra, especially Faw and Majnoon Islands, includes the richest oil fields in the region as well as bunches of palm orchards which yield the best types of dates in the world. Fadhil Al Jamaly, an economic researcher, told Gulf News: "The issue of oil is the essence of conflict between armed militias, whether these are affiliated to political parties or smuggling gangs. I believe fighting will break out between the outlaw armed groups because of the weakness of state security forces and also the penetration of these militias in these forces, besides seizing land and dates palms is no less important than oil for the armed groups." 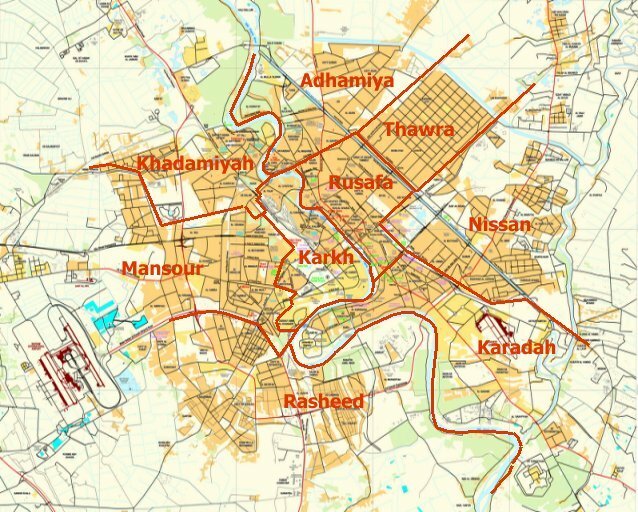 Recently, the dispute settlement body in Basra reported that armed militias affiliated to political parties, gangs and powerful individuals seized thousands of houses and real estate. (The Guardian) - Gordon Brown will today offer the prospect of deep cuts early next year in the number of British troops in Iraq as well as asylum to some Iraqis, including interpreters, who have helped the army there over the last four years. He is also expected to outline an aid and investment package to boost the economy and quality of life of those who live in a region which has the potential of being one of the richest in the Middle East. The prime minister said in his BBC interview yesterday that his statement on Iraq to MPs was "not simply about what's happening by Christmas" - a reference to his hotly disputed announcement in Baghdad last week that the number of British troops in southern Iraq would be cut by 1,000 by then. His Commons statement, he said, would be "far more comprehensive". It would cover "security, political reconciliation, economic reconstruction". He added: "And there are other aspects of what we can do to improve the security of our military forces and those who help us on the ground." The prime minister is expected to say that Britain will hand over responsibility for security throughout Basra province to Iraqi forces within the next two months. In that time, the total number of British troops will fall to 4,500. Though this is 1,000 less than the existing official full complement, a 500 cut in that figure had already been announced and 250 of those had already flown home. The number is likely to be reduced by at least a further 1,500 next May, leaving a force of 3,000. But Mr Brown is expected to hold out the option of basing most of those in Kuwait, leaving a much smaller garrison at Basra airport, Britain's last remaining base in Iraq. British troops have already ended their combat role in southern Iraq. In future, they will take on what is called an "overwatch" role - helping Iraqi security forces in the event of a crisis. They will also continue to train Iraqi forces, carry out patrols along the border with Iran in an attempt to hinder weapons smuggling, and help protect convoys delivering supplies from Kuwait to US forces in northern and central Iraq. The number of attacks on British forces has fallen dramatically since the army handed over to Iraqi forces the Basra Palace, the last British base in the city, last month. British military commanders have recently been holding talks with Shia militia, including the radical cleric Moqtada al Sadr's Mahdi Army, and released militia members suspected of being involved in attacks on British troops, in what they call a new reconciliation process. British commanders appear to have squared the US, who, despite allegations of indisciplined, trigger-happy employees of the Blackwater private security company, is expected to hire more private contractors to protect supply convoys. However, British defence officials remain concerned about the prospect of US forces having to "fill in" for absent British soldiers in the event of renewed heavy fighting in the area. That is one risk British military chiefs want to avoid. (Reuters) - Iraq has sold nearly 5 million barrels of Kirkuk crude to buyers in Europe and the United States and plans to issue a new sales tender in the coming days, an Iraqi oil ministry source said on Monday. Shell, BP, Cepsa, Tupras, Erg, and Exxon Mobil had been awarded a total of 5 million barrels, he said. A new tender for 5 million barrels of Kirkuk crude -- the fourth such sale in six weeks -- will be announced in the next few days, the source said. Through the three previous sales, Iraq's State Oil Marketing Organisation has sold about 12.5 million barrels of Kirkuk crude that is pumped from its northern oilfields and piped to Turkey for export. Repeated sabotage attacks along Iraq's northern pipeline to the Turkish terminal of Ceyhan have kept the export route mostly idle since the U.S.-led invasion in March 2003. But intermittent flows through the line over the past month have allowed Baghdad once again to ship crude to world markets. "We're moving volume to Ceyhan at a steadier rate," said the source. "So we're studying the possibility of term contracts." The Iraq-Turkey pipeline is Iraq's secondary export route. It relies on its main terminal in the south at Basra for exports of about 1.5 million barrels per day. (AP) -- Iraqi authorities want the U.S. government to sever all contracts in Iraq with Blackwater USA within six months and pay $8 million in compensation to each of the families of 17 people killed when the firm's guards sprayed a traffic circle with heavy machine gun fire last month. The demands - part of an Iraqi government report examined by The Associated Press - also called on U.S. authorities to hand over the Blackwater security agents involved in the Sept. 16 shootings to face possible trial in Iraqi courts. The tone of the Iraqi report appears to signal further strains between the government of Prime Minister Nouri al-Maliki and the White House over the deaths in Nisoor Square - which have prompted a series of U.S. and Iraqi probes and raised questions over the use of private security contractors to guard U.S. diplomats and other officials. Al-Maliki ordered the investigation by his defense minister and other top security and police officials on Sept. 22. The findings - which were translated from Arabic by AP - mark the most definitive Iraqi positions and contentions about the shootings last month. The report also highlights the differences in death tolls and accounts that have complicated efforts to piece together the chain of events as one Blackwater-protected convoy raced back toward Baghdad's Green Zone after a nearby bombing, while a second back-up team in four gun trucks sped into the square as a back-up team. The Iraqi investigation - first outlined Thursday by The Associated Press - charges the four Blackwater vehicles called to the square began shooting without provocation. Blackwater contends its employees came under fire first. The government, at the conclusion of its investigation, said 17 Iraqis died. Initial reports put the toll at 11. The United States has not made conclusive findings about the shooting, though there are multiple investigations under way and Congress has opened inquiries into the role of private security contractors. Last week, the FBI took over a State Department investigation, raising the prospect that it could be referred to the Justice Department for prosecution. The Iraqi government report said its courts were to proper venue in which to bring charges. It said Blackwater's license to operate in Iraq expired on June 2, 2006, meaning it had no immunity from prosecution under Iraqi laws set down after the fall of Saddam Hussein in 2003. The government report also challenged the claim that a decree in June 2004 by then-Iraqi administrator L. Paul Bremer granted Blackwater immunity from legal action in incidents such as the one in Nisoor Square. The report said the Blackwater guards could be charged under a criminal code from 1969. U.S. Embassy spokeswoman Mirembe Nantongo said the diplomatic mission would have no comment on the report. Iraq's Interior Ministry spokesman, Abdul-Karim Khalaf, said the document was in American hands. The report found that Blackwater guards also had killed 21 Iraqi civilians and wounded 27 in previous shootings since it took over security for U.S. diplomats in Baghdad after the U.S. invasion. The Iraqi government did not say whether it would try to prosecute in those cases. The State Department has counted 56 shooting incidents involving Blackwater guards in Iraq this year. All were being reviewed as part of the comprehensive inquiry ordered by Secretary of State Condoleezza Rice. (AP) -- The leader of Kurdistan on Sunday defended his self-governing region's oil deals with international companies, saying the agreements were not an attempt to usurp the nation's oil resources but a way to make them work for all the people of Iraq. Prime Minister Nechirvan Barzani, who wrote an opinion piece published in the Wall Street Journal, said eight contracts already had been signed and two more were expected soon. The central government in Baghdad is upset about the deals, saying the Kurds should wait until the passage of a national oil law before signing any new contracts. But Barzani countered that the agreements are allowed under the Iraqi constitution, "which gives the regions of Iraq substantial control over natural resources." "Many in the Iraqi Oil Ministry are locked in a time warp dating back to the regime of Saddam Hussein, in which Baghdad holds tight control of all the resources of Iraq and uses these resources to create obeisance and loyalty to the center," Barzani said. If exploration leads to oil production, 85 percent of the profits would go to the government and the remainder would go to the companies. The profits would then be split -- giving 83 percent to the central government in Baghdad and 17 percent to the Kurds, Barzani sad. "We want peace and prosperity for the rest of Iraq as well," Barzani said. "We will contribute our fair share and more to that goal." The Iraqi Cabinet approved a draft oil law last February and forwarded it to parliament, but parliament, citing legal technicalities, kicked it back to the Cabinet. The measure has been bogged down in negotiations ever since. Last August, the Kurds enacted their own oil law to regulate the oil sector in the region, further angering the central government in Baghdad. "We waited five months for the Iraqi Assembly to pass the agreed draft. They have not acted and there is no sign that they will act anytime soon. We decided to lead from the front," Barzani said in Sunday's letter. "We are not a rogue province seeking an early escape from the chaos that has become Iraq." (VOA) -- Iraqi President Jalal Talabani says he supports a U.S. Senate resolution that calls for the decentralization of Iraq into autonomous regions for Shi'ites, Sunnis and Kurds. The non-binding Senate resolution adopted last month is opposed by the Bush administration and Iraqi Prime Minister Nouri al-Maliki. But, Mr. Talabani said in an interview with CNN Sunday that the Senate proposal deserves consideration and does not undermine Iraq's unity. The resolution urges the creation of a federal government in Baghdad that would protect Iraq's borders and share oil revenues among the regions. Mr. Talabani, who is a Kurd, says there is "no possibility" of Iraq's autonomous Kurdistan region becoming independent. He says such a state would face hostility from neighbors with Kurdish minorities. The Iraqi president also says he believes the United States can withdraw at least 100,000 troops from Iraq by the end of next year. Mr. Talabani did not explain why he thinks the U.S. military can carry out a faster pullout than U.S. commanders have discussed in public. Mr. Talabani also says the U.S. military should keep three bases in northern, central and southern Iraq to train Iraqi forces and prevent neighboring countries from interfering. (DPA) -- More than 128,000 Iraqi refugees were registered with the United Nations High Commissioner for Refugees (UNHCR) by the start of the UN refugee agency's mobile registration programme in the northeast of the country on Monday. The UNHCR said in a statement that the registration team started the programme in Al Hassakeh Governorate where it estimates that over 6,000 Iraqi refugees will be registered during a two month period. The agency said so far its office in Damascus has recorded more than 128,000 Iraqis, of whom 87,432 were registered in 2007. The registration highlighted the 'vulnerability of many of these refugees with one in five registered this year having a serious medical condition, and one in five being classified as survivors of violence or torture in Iraq,' UNHCR statement said. 'It is a priority for UNHCR to reach vulnerable Iraqi refugees throughout the country. This mobile registration will help us to identify the refugees that need our help the most. In parallel we plan to expand our assistance rapidly throughout the country,' UNHCR Syria Representative Laurens Jolles said. The Syrian government estimates there are around 1.6 million Iraqi refugees in Syria, most of them living in Damascus and its surrounds. (Al Jazeera) - Moqtada al-Sadr and Abdel Aziz al-Hakim, two of Iraq's most influential Shia leaders, have agreed a deal aimed at ending years of rivalry. Al-Sadr's movement, which enjoyed a surge in popularity after the 2003 US-led invasion of Iraq, is backed by several thousand fighters known as the Mahdi Army and is the country's most powerful Shia group. Al-Hakim leads the Supreme Iraqi Islamic Council (SIIC), another significant Shia faction and a pillar of the ruling coalition. The two groups have clashed repeatedly in the past in their competition for control of Iraq's majority Shia community. A statement from al-Hakim's office said Saturday's accord mentioned three points aimed at "enhancing relations between the two groups and maintaining the Islamic and national interest." The first point outlined "the necessity to maintain and respect the Iraqi blood under whatever circumstances or by any party. Bloodletting is contrary to all legislations and morals." The remaining two points talked of uniting media and cultural efforts and setting up a joint committee with provincial branches to keep order between their respective supporters. Liwa Sumaysim, head of the political committee of the Sadr group, said: "The agreement is essentially a commitment of honour. The most important aspect is that it forbids both sides to engage in bloodletting against each other and against Iraqis in general." Hamid al-Saadi, head of the SIIC media office, said the deal was agreed in a "friendly spirit" and came at an "important time for the country". "Iraq needs deals between factions in Iraq to enhance and preserve Iraqi unity," al-Saadi said in a statement. (AP) - Iran reopened five border crossing points with Kurdish-run northern Iraq on Monday, closed last month by Tehran to protest the U.S. detention of an Iranian official. The Iranian border points were closed Sept. 24 to protest the U.S. detention of an Iranian official. The U.S. military has said the official was a member of the paramilitary Quds Force, a branch of the Iranian Revolutionary Guards that is accused of providing arms and training to Shiite extremists. The border points were reopened after a Kurdish delegation traveled to Iran to complain the region should not be punished for something the Americans did. Iraqi and Iranian authorities have claimed that the detained Iranian, Mahmoud Farhadi, was in Iraq on official business and demanded his release. A spokesman for the Kurdish regional government in northern Iraq, Jamal Abdullah, said he hoped the resumed flow of traffic and goods would help rising prices plaguing the region since the closures. The reopening is in the "economic interests of both countries," Abdullah said, adding that Tehran and Baghdad share the responsibility to "prevent gunmen from having access to either side of the border." U.S. commander Gen. David Petraeus claimed this weekend that the Iranian ambassador to Baghdad, Hassan Kazemi Qomi, was a member of the Quds Force. "The Quds Force controls the policy for Iraq; there should be no confusion about that either," Petraeus told CNN and other reporters during a trip to a military base on the Iranian border. "The ambassador is a Quds Force member. Now he has diplomatic immunity and therefore he is obviously not subject (to an investigation) and he is acting as a diplomat." Petraeus did not provide details on how he knew that Qomi, who has held talks in Baghdad with U.S. Ambassador Ryan C. Crocker, belonged to the Quds Force. The Iranian Foreign Ministry rejected the allegations. "These are not new comments. Similar accusations were raised, formerly. It is baseless and not right," ministry spokesman Mohammad Ali Hosseini told reporters in Tehran. The Iraqis have found themselves caught between two allies as they struggle to balance the interests of the U.S. military, their main sponsor, and Iran, a major regional ally. Iran holds considerable sway in Iraq: Both countries have majority Shiite populations, and many members of Iraqi Prime Minister Nouri al-Maliki's ruling Shiite bloc have close ties with Tehran. (AP) - Kurdish rebels killed 13 Turkish soldiers Sunday in a clash in the country's southeast, and troops responded by shelling an area near Iraq to try to stop the rebels from escaping across the border, the military said. Turkey has been pressing Iraq and the United States to hit the bases of the Kurdistan Workers' Party, or PKK, in northern Iraq, and has considered a unilateral military operation across the border to root out the rebels. The soldiers were killed in the southeastern province of Sirnak, not far from where troops and rebels clashed two days earlier, according to a statement on the military's Web site. An operation to track down the rebels was under way, and troops shelled areas near the border to try to prevent rebels from reaching their bases in northern Iraq, the statement said. The clash "boosted our determination and strength" to fight terrorism, the military said. Abdul-Rahman al-Chadarchi, a spokesman for the Kurdish rebel group, confirmed the attack and said the rebel fighters sustained no casualties. Kurdish rebels have been staging attacks on Turkey from their bases in northern Iraq. But the U.S. opposes any military move into Iraq by Turkey. Turkey's military on Sunday designated 27 "security zones" off limits to civilians in eastern and southeastern regions where the borders with Iraq and Iran converge. Starting Tuesday, the zones will be in place until Dec. 10. The military imposed similar zones earlier in June in three southeastern provinces to keep civilians away from the fighting with the PKK. 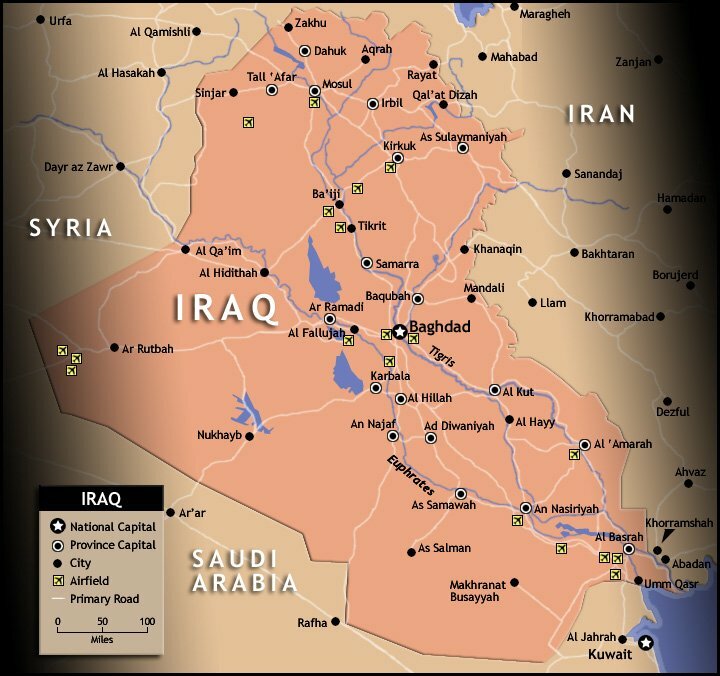 Some experts have speculated that the zones are part of preparations for a possible Iraq campaign.